She was quite shocked when I said it was twenty years since it had happened (for Peeling the Onion, which was also the 1997 Honour Book). So, just to get it straight: I’m thrilled. The book is also on the shortlist for the West Australian Young Readers Award, and has won the ASO Librarian’s Choice for Secondary Schools, and I’ve been delighted about both of those. 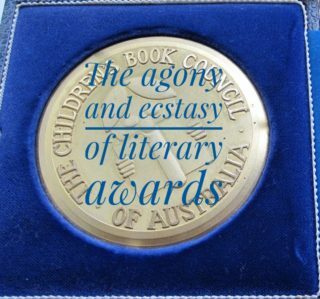 But the Children’s Book Council is probably still the most significant award in the Australian children’s literature world, and it’s deeply satisfying to have a book on it – especially one that is very different, and felt as if it was being written with my heart’s blood. The shortlist validates the years that went into it. But – did I mention that there were twenty years of my books not being on the list? My most successful book not even being a Notable? – I can empathise with the disappointment of so many of my fellow authors when the list was announced. I’m aware many had a sleepless night beforehand, and probably after. (Luckily for me, I had the date wrong, so I slept fine.) My heart went out to everyone who hid their own disappointment and congratulated me. Maybe it’s all too stressful ­– maybe we shouldn’t care. Well, good luck with that. Of course we care! The truth is, as children’s writers, we have to care about the CBC awards, even when we’re disappointed. Celebrating children’s literature gets all children’s books noticed and valued. It gets teachers inspired, media attention and people talking – and as a children’s author, you’re an expert; your opinion matters. If people respect what you say they’re more likely to read your book too. But the most important thing is that it gets kids excited about books and reading. This is what the CBCA is all about; it’s what those thousands of voluntary hours go into – the pure love of children’s books. Surely that’s what we’re about too. It’s why we chant picture book lines over and over till the rhythm is right; it’s why we wake up at night with the shock of a new plot twist. It’s why we spend our waking hours with imaginary people in our head and weep with their joys and sorrow. Be gracious in public but honour your grief and disappointment in private. Remember that it doesn’t mean your book is worthless or won’t be successful – lists are subjective and finite. Remember that this is not the only book you’ll ever write. Celebrate that you are part of a community that cares about children’s books; enjoy the fun of Book Week and the activities around it. Join the CBC, because supporting children’s books means supporting you – authors even receive a concession membership. Keep on loving your writing and the worlds you create. And if you’re on it: All of the above, with champagne. Amanda Cooper Great words. As a new Judge for the CBCA awards I found this article interesting and spot on. I see the awards as highlighting children's books and spreading the word.. pardon the pun.. to the wider public. The awards and BookWeek places a focus on books and having that awareness can only be good for creators and readers. What Wendy says is so true. The awards are subjective (to a degree) and finite. BookWeek is a celebration of not only the winners and the shortlists but all books that contest with their readers. I think it's really fantastic that the longer Notable lists are now released prior to the shortlists. This gets everyone looking at a much richer choice of reading material. I can only say that being a Judge has been an honour and a privilege and that I have huge respect for the creators of books. Wendy Orr Thanks very much for these comments! I have to reply that I have huge respect for the judges – I'm not sure that everyone realises just how rigorous the process is, and what a huge amount of work the judges take on. And I totally agree about the Notables; it's wonderful that they're released first, and with their own ceremony – it reinforces that there are many great books published every year, even though only six can be on the shortlist for each category. Wendy Orr Thanks, Jin - and thanks even more for your help! Heather Zubek Great article Wendy. I might also add that it is up to the 'gatekeepers' of children's literature - the school librarians and the parents - to get excited about the books on the list. If a school librarian isn't interested in sharing the list the kids don't get excited. It's up to these gatekeepers to be enthusiastic. Wendy Orr Very true, Heather – and I think awards like this are a great asset to librarians, parents and teachers in maintaining enthusiasm, because they do come with some hype, and with a lot of support materials as well, always an advantage no matter what the base level of enthusiasm! Elizabeth Foster Thank you. Sound advice. I think we would all be excellent at writing characters dealing with disappointment! Debra Tidball Love this post - such wise words and insights! Thanks Wendy. Wendy Orr Thanks very much, Debra – I'm really glad you liked it. 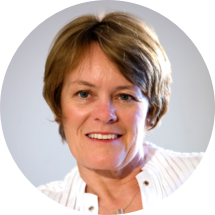 Linda Thank you so much for revealing your thrill in having your writing shortlisted. I can only imagine how marvellous it must be. As a Teacher Librarian the CBCA awards are always a very exciting event and are the focus of impassioned discussions with students, staff and parents about the "ones that got away". Awards bring an opportunity to explore all the very different views held about a single book, and to engage the young reader in some critical discussions about how one book could be regarded as a winner over another (perhaps a title they hold very dear to their hearts). The very best aspect of the awards is that they open up opportunities to invite a real author into the school - and this is where the real wonders begin. Student's faces light up as they meet the person who created their favourite book and discover the very exciting ways that authors collect their ideas and bring their writing to life. Awards of all kinds bring joy and sadness - but always cause us to celebrate the focus of the award. Awards for Children's Literature impress as they remind us of the importance of high quality literature in developing empathetic and critical thinking individuals. Wendy Orr And hooray for teacher-librarians, who bring books and awards to life for kids! Thanks very much for your comments. 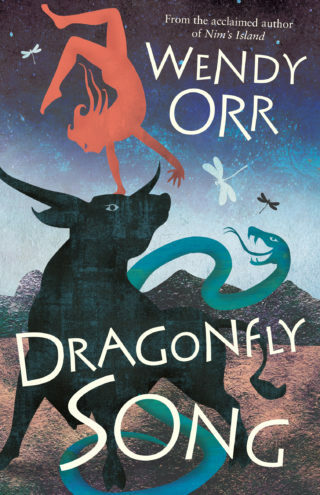 Paula Stevenson Wendy; I had to add a comment as I just finished reading Dragonfly Song and it certainly deserved to be high up on the list of CBCA Awards, if not the top! The story was mesmerising as was the balance of prose/prose poem and I was left pondering Aissa'a fate and the various paths that were open to her. And in the end you surprised me.I loved it and regretted reading so quickly that I finished it too soon. Wendy Orr Thanks very much, Paula; comments like this mean everything to me.